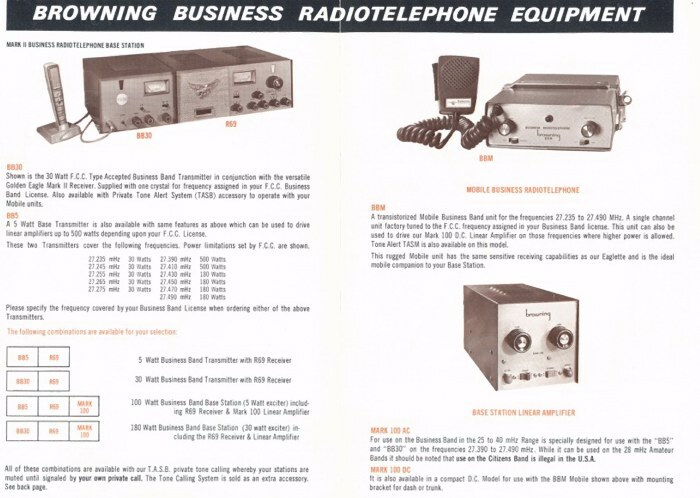 This sales brochure shows the BB-30 Business Band transmitter (used with the Mark II receiver), the BBM mobile and the earlier Mark 100 AC amplifier. 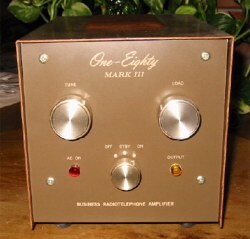 Other Browning Business Band equipment included the BB-5 transmitter, Mark 100 DC amplifier, Mark 500 base amplifier, TAS Encoder/Decoder and various antennas and accessories. 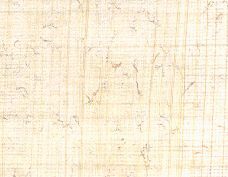 A valid FCC license was required to use the business band frequencies, some of which later became part of the 40-channel CB band. 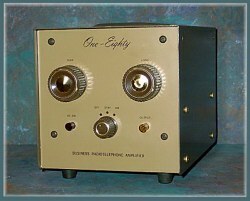 Browning Golden Eagle Mark II receiver and business band transmitters. to match the style and colors of the Golden Eagle Mark III equipment.